This is an annual opportunity that kicks off with the Blazer season in October. New nonprofit participants in this program are encouraged to recruit at least 25 volunteers to rotate shifts throughout the season. Each event only needs 8 – 10 volunteers so you can pick what dates you are available for. Each event shift is about 4 hours in duration. Event lists are released 1 month in advance. I should be getting an event schedule for October later this week. FYI - There is NO PRESSURE for us to begin right away. We can start volunteer groups in November or December if that works better for our groups. My goal is to have a solid group of rotating volunteers by January 2019. Each volunteer must obtain an OLCC alcohol service permit and a Food Handler's card. The total for both of these is about $40.00. Om Thrive will pay these fees for you if you can commit to at least 1 event per month. Each volunteer will also be provided with an Om Thrive logo volunteer T-Shirt and Baseball cap. If you commit to 1 event per month you will be allowed to retain your uniform for the duration of the season. Otherwise, you will be asked to return your shirt and cap at the end of your shift. Finally, each volunteer must purchase a pair of non-slip Black shoes. I have 15% off coupons available for the Safe Step brand available at Payless Shoe Stores. I did a bit of research and most people can grab a pair of non-slip Chuck Taylor style shoes for about $35. Note - this expense will be reimbursed to you if you commit to at least 1 event per month. 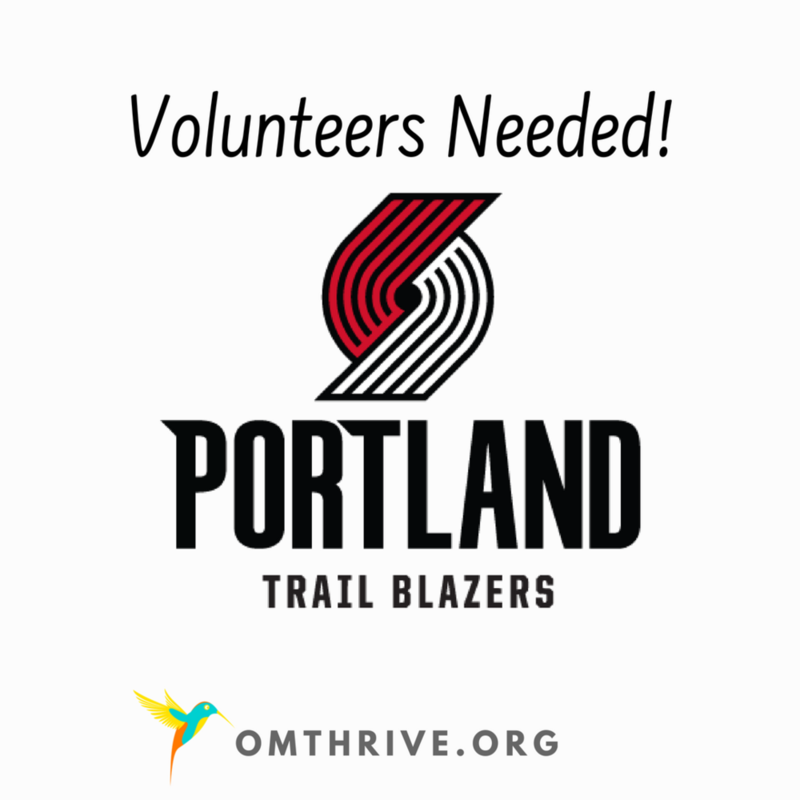 At each event Om Thrive Volunteers will either have a concession stand of our own selling non-fried items, or be operating Front of House while trained professionals work Back of House. This depends on the demand of stands available and the number of volunteers we have for the event. Each volunteer will be provided a free meal for each event worked. Everyone is expected to sell beer except volunteers under the age of 18. Minors aged 16 - 18 are welcome at Providence Park events only. 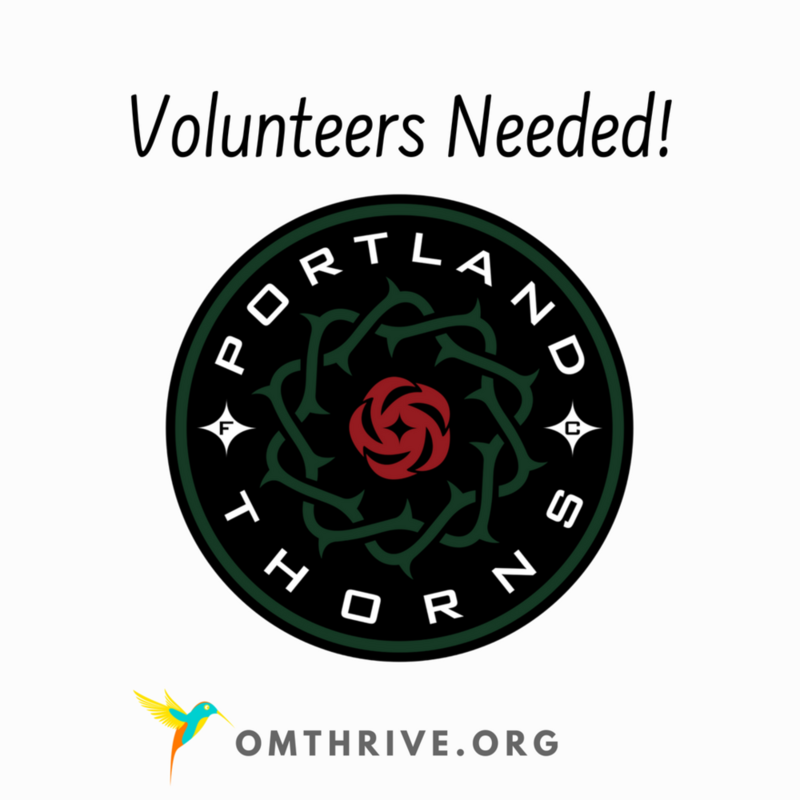 If we can successfully put together a reliable volunteer team Om Thrive can earn $20,000 in just 6 months by working 3 - 5 events per month! Again, I want to thank you so much for your interest in this opportunity! Please share this information with ANYONE you think would be interested in supporting Om Thrive in our mission to provide healing yoga practice to survivors of domestic violence and abuse. Please contact Day Bibb at 352-322-9019 or day@omthrive.org if you are interested in volunteering or supporting Om Thrive’s mission in other ways.